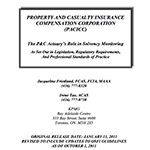 A research paper on the actuaries’ role in safeguarding the solvency of property and casualty (P&C) insurers, with a focus on regulatory requirements throughout Canada, and more specifically at the provincial level. Updated March 2015. 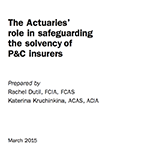 Research outlining the role of a property and casualty actuary in solvency monitoring. Updated October 2011. 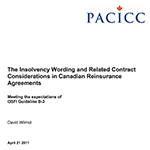 The insolvency wording and related contract considerations in Guideline B-3. Published April 2011. 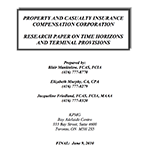 A research paper looking at the three factors that determine the capital requirement of insurer. Published June 2010. 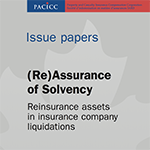 A study about reinsurance assets in insurance company liquidations. Published November 2008. 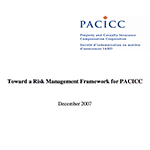 A look creating the risk management framework. Published in December 2007. A look into the extent of coverage options. 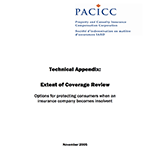 Technical appendix is the following PDF. Published November 2005. 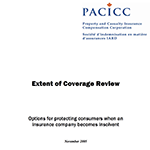 The appendix to Extent of Coverage Options (the previous PDF). Published in November 2005. 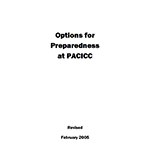 A study looking at the options for successful operational preparedness. Latest revision on February 2005. 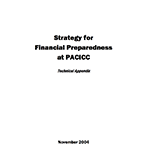 The technical appendix of Financial Capacity. Published in November 2004. 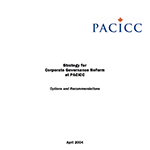 A look at PACICC’s suggestion for governance reform. Published April 2004. 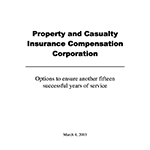 A paper regarding the options to ensure another fifteen successful years of service. Published March 2003.